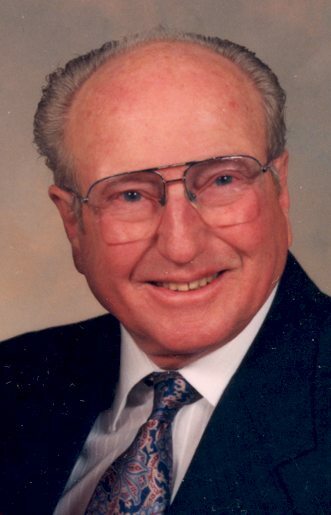 Donald Bankie Flygstad of Webster City, Iowa, passed away on January 24, 2018 at Southfield Wellness Center in Webster City. He was 99 years old. Funeral services will be held at 10:00 a.m. on Friday, February 9, 2018 at Trinity Lutheran Church with Reverend Mike Kroona officiating. Burial will be held at Graceland Cemetery with military rites by the American Legion Post #191. Visitation will be on Thursday, February 8, 2018 from 5:00 p.m. to 7:00 p.m. at Foster Funeral and Cremation Center. Donald was born to parents Myrtle and Bankie Flygstad on December 15th, 1918 in Jewell, Iowa. He went to, Jewell, Duncombe and Webster City schools. He graduated from Duncombe High School. Donald worked on the farm with his parents south of Duncombe. Donald enlisted in the Army in 1942. He went through boot camp and after he was selected for the Army Air Corps, which later became the Air Force. Donald became a navigator, flying in a B17, (The Flying Fortress) stationed in England. His job was to navigate by calculating the route for the pilot. He flew 25 missions across the English Channel bombing Nazi held territories. He received the Distinguish Flying Cross and Air Corp Air Medal for saving his plane by flying it home after the pilot was disabled. Donald returned to Webster City, Iowa after the war and began working as an auto mechanic. In 1947 he married Lois Barkema from Jewell. They had two daughters. Lois became very ill and could not care for her family. They divorced and Don became a single father. In 1962 he married Erma Barkema Frette from Jewell. Along with Don’s two daughters, Erma had a daughter and son. They became an early, blended, family. When Donald retired as a mechanic, he started working as a custodian for the Webster City school district. Don continued that job into his 80s. He delivered Meals on Wheels until he was 90. Donald loved to travel and visited every state and Norway. He was a member of the National B17- 95th Bomb group, American Legion and a bowling league. Donald and Erma loved to go out to eat and often dancing. Donald is survived by his daughter, Diane (David) Flygstad Delegard of Eau Claire, WI. Step-daughter, Carolyn (LuVerne) Frette Anderson of Kalamazoo, MI. Stepson, Donald Frette of Glendale, AZ ; 10 grandchildren; 12 great-grandchildren; five great-great-grandchildren; sister, Beth (Woody) Lastine of South St. Paul, MN and many extended family. In addition to his parents, he was preceded in death by his wife, Erma; his sister, Mildred Clair; brother, Kenneth Flygstad; daughter, Gayle Torgerson and daughter-in-law, Mini Frette. Don was a long time member of the Trinity Lutheran Church in Webster City.